He feels the fans are against him since his signing was facilitated by Jorge Mendes. When he came on in the Champions League under coach Nuno, he was the outlet for the fan's anger and it followed him on social media. Insults, criticisms, etc. 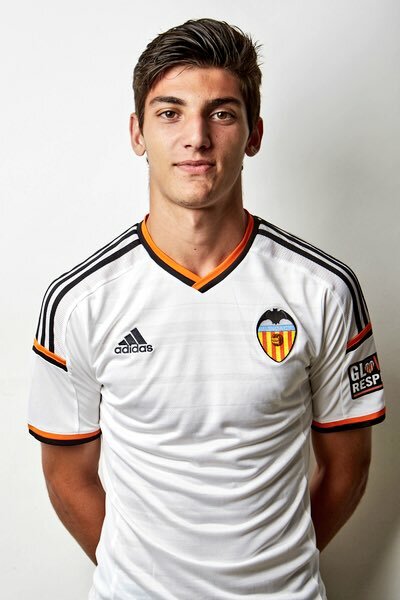 In fact, recently when he scored playing for Mestalla B, he celebrated by doing a celebration where he gestured to the crowd to zip their mouths and has been reprimanded for it. We have to remember the player is young and criticism does affect him (we saw Cancelo do something similar). Anyway, it would be a shame to lose him since he is on blazing form (15 goals in 17 games). He is the second top scorer in the Second Division. You might have noticed that he is not training with the first team anymore as well. That's because Marcelino's stance is that the player should solve his contract situation first and then he will let him back in. This month would be the crucial month to settle things, as the player is free to negotiate with other clubs on January 1st and would end up leaving for free in the summer. The club is still trying and meetings with his agent are being held this month by Elemany. Hopefully, it will break the deadlock but we'll see.